In 1882, Metchnikoff documented the encapsulation response (ER) of the invertebrate immune system. Since then, researchers have used Metchnikoff’s method to quantify immune function—and examine its relationship with ecological and behavioral factors—across various insect taxa. While scientists continue to uncover information regarding invertebrate immunity, behavioral ecology, and ecological immunology, the basics of Metchnikoff’s method have remained unchanged. All but two previous studies investigating insect immunity have used sterile or PBS-coated inducers, although we know that the immune system recognizes specific pathogens. To account for the specificity of the immune system, we modified Metchnikoff’s method and coated nylon monofilaments with pathogen-associated molecular patterns (PAMPs). Using honey bees (Apis mellifera), we examined ER using implants coated with PAMPs (“PAMPlants”) found on known honey bee parasites and pathogens. Lipopolysaccharide (LPS), peptidoglycan (PGN), and β-1, 3-glucan (B13G) PAMPlants mimicked an infection with Gram-negative bacteria, Gram-positive bacteria, and fungi, respectively. Our PAMPlants induced stronger responses than the control implants in both singly- (one PBS-coated or PAMP-coated implant) and doubly- (internal control; one PBS-coated and one PAMP-coated implant) implanted animals. In doubly-implanted individuals, there was a significant increase in response to B13G and LPS when compared with internal controls. The PGN and BSA did not differ from the internal controls in the doubly implanted individuals. These methods provide an improvement when exploring responses to specific pathogens and exploring topics within the field of invertebrate ecological immunity. When applied to social systems, these methods can be used to examine the evolution of disease resistance in societies. Noah Wilson-Rich and Rachael E. Bonoan contributed equally. 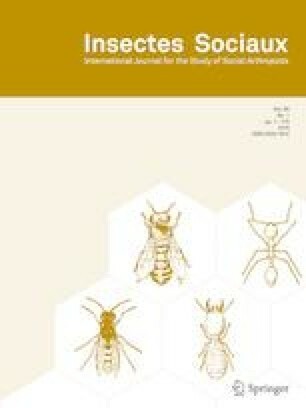 The online version of this article ( https://doi.org/10.1007/s00040-018-0668-x) contains supplementary material, which is available to authorized users. We are grateful for the helpful comments from Kelsey K. Graham, Stephanie Clarke, Rebecca Czaja. ET and LL were funded through NSF DBI 0649190 granted to PTS. We also thank two anonymous reviewers and the editor for their helpful comments and suggestions.